This truck attracted my attention. 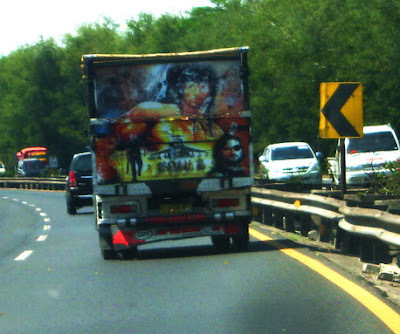 You can see Sylvester Stallone, Kurt Russel, the Rock and other movie stars on it. Not only on the back part, but also on its both sides!